As Credit Union 2.0 (CU2) grows, we’ve come to appreciate the little things. Our team is small but mighty, just like most of the credit unions in the United States. 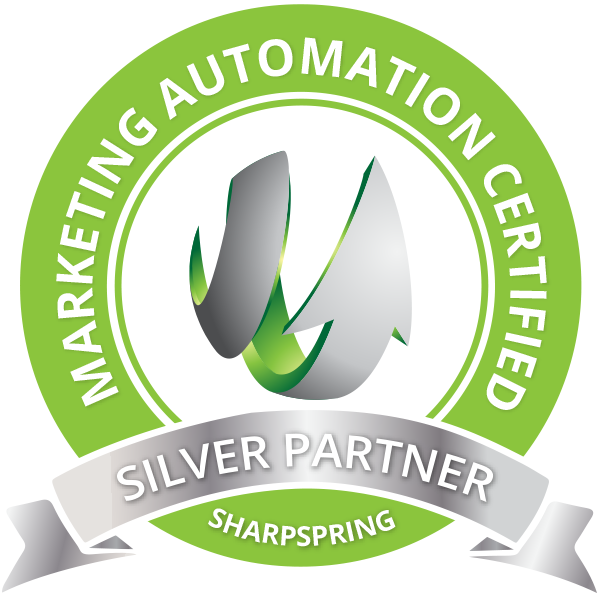 One of the tools that has allowed us to operate more efficiently is the marketing automation software SharpSpring. It took us months of shopping around and demoing different Client Relationship Management (CRM) software. Eventually, we settled on SharpSpring. Here’s why, and more importantly, here’s why it should matter to you. But before we get too far, we should put a little disclaimer here: this blog is intended specifically for credit unions, fintechs, and CUSOs who are looking for marketing automation tools to take their enterprise to the next level. Okay! You’ve been warned! SharpSpring is a CRM designed to help businesses monitor client and member engagement. It allows companies to see who’s looking, who’s interested, and who’s still on the fence. The lead scoring in particular is what keeps SharpSpring at the cutting edge of CRM software. By tracking the digital engagement of current and prospective members or clients, SharpSpring helps your credit union (or fintech or CUSO) see who’s interested in what, and when. By the way, did we mention CU2.0 is SharpSpring certified? We’ve already outgrown another CRM that couldn’t do what we needed it to. SharpSpring’s functionality is much better, as is its training and support. However, that’s not the only reason we like SharpSpring for CU2. There are many marketing tools out there, and we know from experience that choosing the right one isn’t easy. Some are difficult to use or don’t have sufficient training, responsive support, or adequate capabilities. We use SharpSpring because they fit with the core values of the credit union industry. Their goals are to enable businesses to connect with people on a closer, more personal level and to facilitate better interaction between companies and their customers. Another thing that we appreciate about SharpSpring is that while they prefer developing relationships with their clients, they also protect their clients’ bottom line. SharpSpring is very competitively priced, while still offering the same level of function and support as their more expensive competitors. We actually don’t suggest that all of our clients adopt SharpSpring. SharpSpring’s robust automation abilities make it more appropriate for larger credit unions and businesses who are focused on growth and member retention. SharpSpring’s automated workflows, triggered emails, and dynamic list segmentation make it a very powerful tool. It allows businesses to quickly and efficiently manage their lead generation and sales. However, we do think that marketing automation software for most credit unions and related financial companies is near-essential. Automated marketing software gives you the information you need to assess member/client engagement and interest. Without a good understanding of member/prospect habits, companies have less information to work with. It’s hard to stay in front of members with relevant offers if you don’t know which offers are relevant to them. Similarly, it’s tough to bring in new clients if you let the slip through the cracks. Want to Learn More About Credit Union Marketing Automation? Our blog is filled with tips, tricks, and most importantly, actual resources to help your credit union, fintech, or CUSO thrive. Follow the links below to learn more about how to increase lead generation and growth in the credit union industry. Believe me, we get it: marketing efforts can lead to headaches. Nobody likes getting cold calls, most people mute (or skip) commercials, and I still get nightmares about pop-up ads. However, credit union marketing automation is far more sophisticated—and less intrusive—than those marketing strategies. Not all marketing strategies result in headaches, though. Modern credit union marketing automation techniques are very different from the awful ones listed above. What Can Automated Marketing Do that I Can’t? The less-effective forms of marketing above give sales and marketing a bad name, and it’s easy to see why. Cold calls, commercials, and pop-ups are rarely relevant to the people who see them. After collecting enough data about your members’ habits, needs, and wants, you can gain a clearer picture of what makes them tick. It’s much easier to identify which of your products and services are relevant to them. After you understand more about your members’ digital engagement habits and preferences, you can direct marketing to them on their terms, on their preferred platforms. Plus, with lead scoring capabilities, you’ll be able to increase or decrease your efforts as necessary. Oh, and the best part? That’s all done automatically. Lower effort, higher reward. Credit union marketing automation software streamlines and optimizes the relationship between credit union and member. Nobody wants to ask their doctor if—I don’t know… Drifexia?—is right for them. It’s probably not. Similarly, your college student members don’t care about your credit union’s mortgage rates. Members looking to finance a new car don’t care about your great boat loans. Marketing automation allows your credit union to provide value by staying in front of them with relevant offers and services. If they’re demonstrably not interested, the automation software understands that and backs off. Marketing isn’t always easy. Sometimes credit unions (and other businesses) feel that they are simply throwing money into a void and hoping for the best. Other times, credit unions have to take wild guesses, which feels like taking aim and pulling the trigger without a target. Marketing automation software paints the target for you, and then it tells you when to fire. Ultimately, the benefit to the credit union is that they gain a better understanding of what to advertise, who to advertise to, and when to do it. Is Marketing Automation Right for Your Credit Union? Bringing automation into your marketing practice represents a major shift in marketing approach. You have to be ready for it, both technologically and culturally. However, for a little more work up front, you can drastically increase efficiency and efficacy down the line. Marketing automation software is the best way to begin understanding not just the needs of member segments, but of individual members. It also takes a lot of the work out of the whole thing. Instead of manually configuring and starting workflows, the software can do it instead. To learn more about credit union marketing automation, strategy, and fintech partnerships, follow the links below! On a related note, CU2.0 is SharpSpring certified and would love to help you learn more via a free demo!